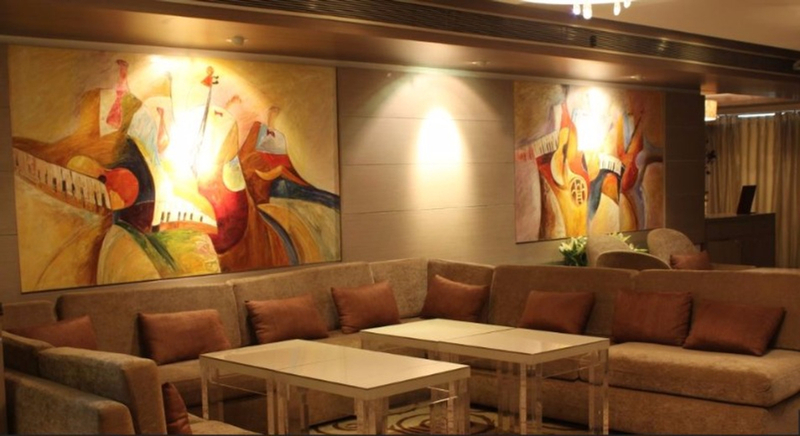 Clarens Hotel is nestled at the Arya Samaj Road, at Sector 29 Gurgaon. The Hotel is located at a distance of 2.5 km from its nearest metro station- Huda City Centre, the terminal station on the Yellow Line of DMRC. One can easily reach the venue through an 8-minutes drive from the metro station. Clarens Hotel offers a class-apart space for your indoor celebrations! The Banquet Hall provided by this Hotel has perfectly blended both elegance and comfort in its ambience. Hotel Clarens also has a plush Conference Room for your Corporate Events which is equipped to host your high-tech events. The venue has an accommodation capacity of up to 135 guests which makes it suitable for your intimate-gathering events. Clarens Hotel provide you with an in-house decorator to set up your customized theme and decoration into the venue and add a touch of personalization to your events. Clarens Hotel take care of the entire food and beverage services throughout your event by providing you with an on-site team of culinary chefs. The Hotel serves a wide range of vegetarian food items from an array of cuisines, both local and global ones. You can choose amongst the venue's multiple buffet-menus including High-Tea Menu, Social Functions Menu, and Wedding Menu. Clarens Hotel also serves a variety of alcoholic drinks and lets you get the same from outside for your events. A comfortable stay is also offered in the Hotel for your outstation guests. The service of this Hotel is prompt and the staff is humble. Clarens Hotel is an ideal Hotel for your events like Anniversary Party, Birthday Party, Cocktail Party, Conference, Engagement Ceremony, and First Birthday Party. had a wonderful time here! we booked it for my daughter's first birthday party and invited a gathering of about 120 guests, we had a super awesome time here! Food was absolutely perfect and we loved their management here!